You can always rely on a Russian writer to throw cold water over the idea that the pursuit of happiness is a good thing. As far as Chekhov is concerned, happiness is a smug, selfish and ultimately debilitating project (see this blog, July 28 2013). Turgenev sees it as a psychological impossibility, while Vasily Grossman identifies a situation where the very idea of happiness seems utterly immoral (August 18 2014). “…why are you so firmly, so triumphantly, convinced that only the normal and the positive – in other words, only what is conducive to welfare – is for the advantage of man? Is not reason in error as regards advantage? Does not man, perhaps, love something besides well-being? Perhaps he is just as fond of suffering? Perhaps suffering is just as great a benefit to him as well-being? Man is sometimes extraordinarily, passionately, in love with suffering, and that is a fact. 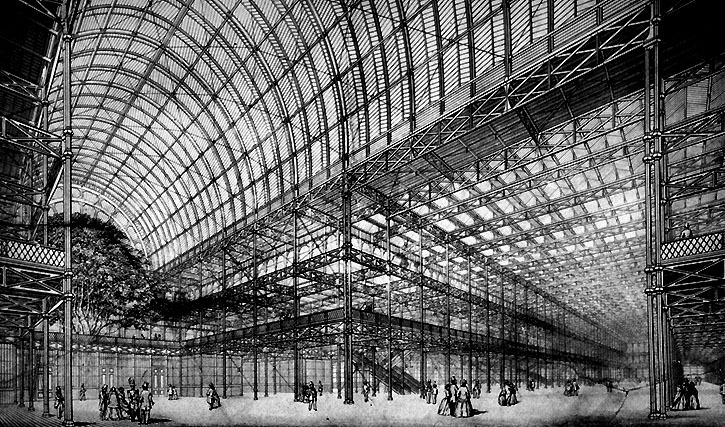 Dostoevsky was very cynical about the claims to clarity and universal rationalism represented by the new Crystal Palace in London (first erected in 1851), and he makes the narrator in Underground share his negative view. And after all, we know that the Crystal Palace could in fact be destroyed all too easily.